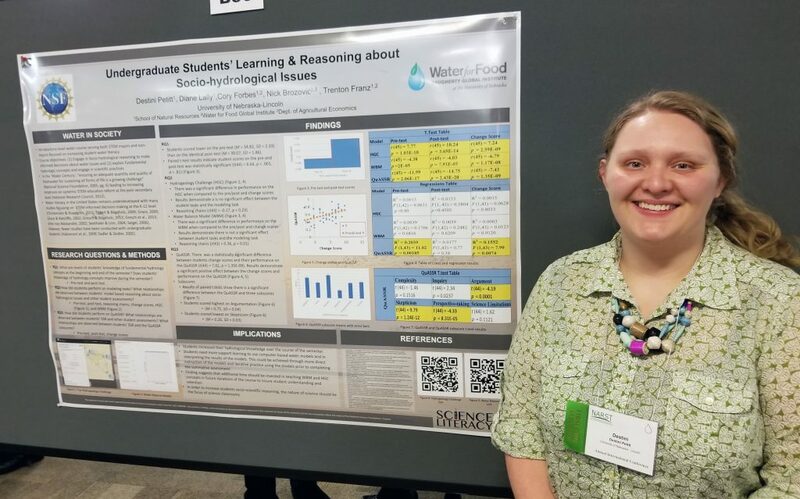 The Forbes team attended the 2018 annual meetings of the National Association for Research in Science Teaching (NARST), held March 10-13 in Atlanta, GA, the National Science Teachers Association (NSTA), held March 15-18 in Atlanta, GA, and the American Educational Research Association (AERA), held in New York City. We had the opportunity to present an array of findings from the WELL, MoHSES, UnICORN projects. Böschl, F., Vo, T., Forbes, C.T., Lange-Schubert, K., (2018, March). 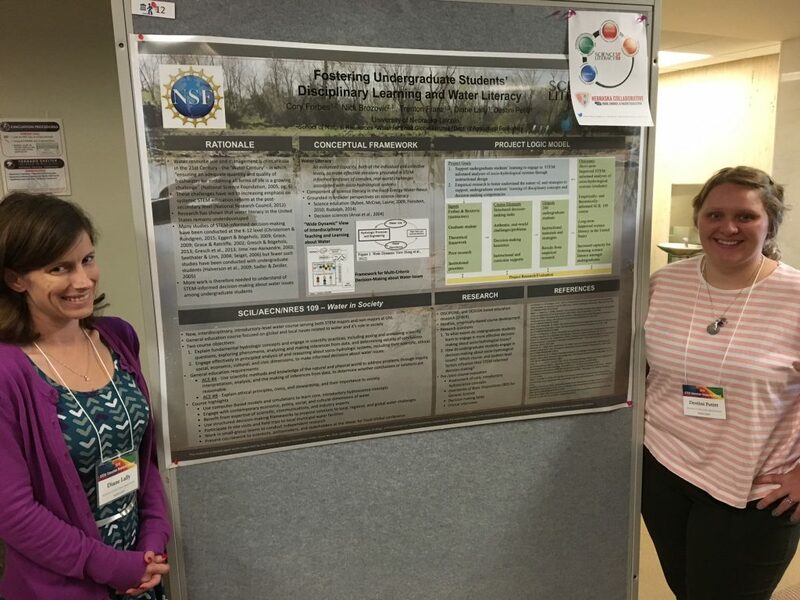 Development of an empirically grounded learning performance framework for elementary students’ modeling competency of water. 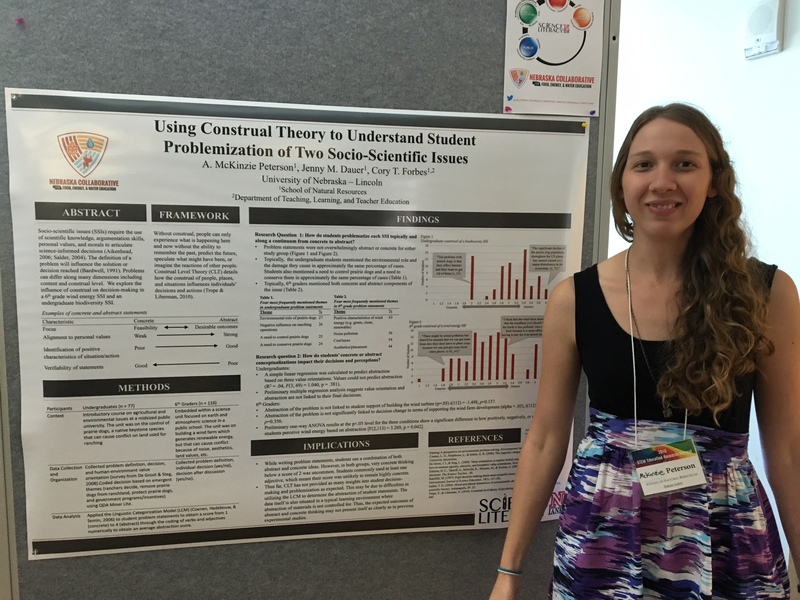 Paper presented at the annual meeting of the National Association of Research in Science Teaching (NARST), Atlanta, GA. This entry was posted in Research, Teaching and tagged AERA, MoHSES, NARST, NSTA, UnICORN, WELL on April 19, 2018 by corytforbes. 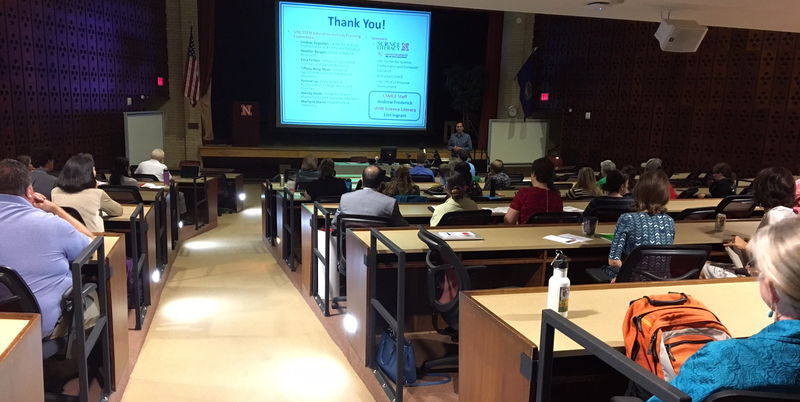 In October, the 2017 STEM Education Research Retreat was held on East Campus in Hardin Hall in partnership between the Center for Science, Mathematics, and Computer Education, IANR Science Literacy, and the Nebraska Collaborative for Food, Energy, & Water Education. 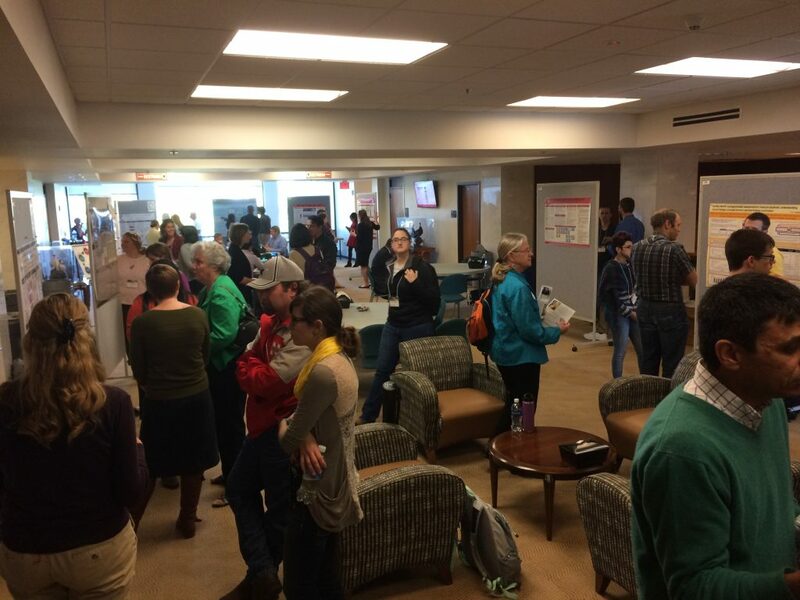 Over 75 UNL faculty, postdocs, and graduate students representing nearly all of UNL’s academic Colleges and Extension participated in this year’s event. 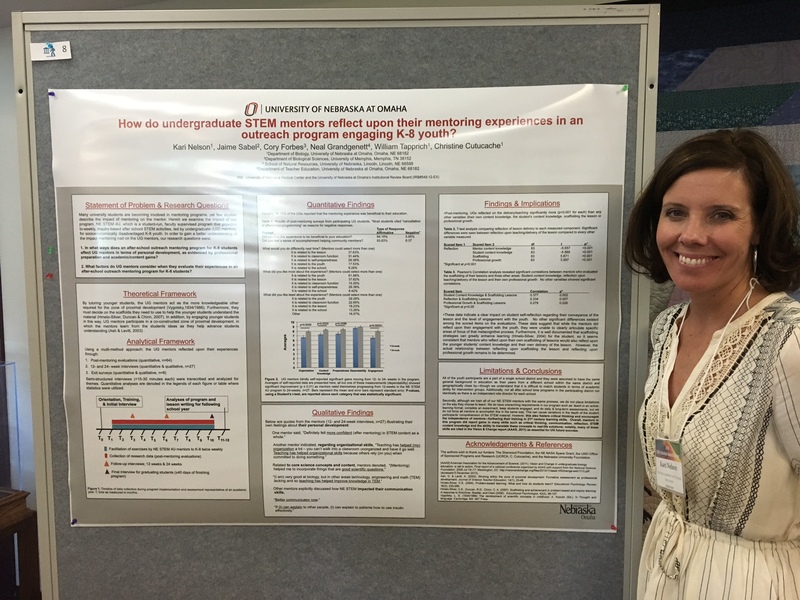 Over 30 posters were presented in two consecutive poster sessions, showcasing the high-quality and innovative STEM education research being conducted at the university and across the state. Participants also participated in an interactive webinar with NSF Program Officers to learn more about the NSF Improving Undergraduate STEM Education (IUSE) funding program. It was a pleasure to co-plan and host this event in conjunction with colleagues from across campuses. 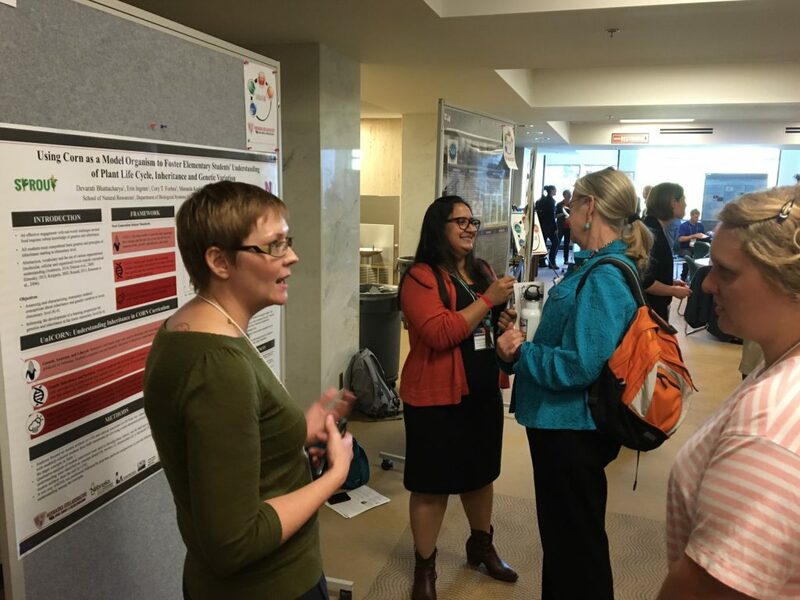 Kudos to Devarati Bhattacharya, Erin Ingram, Tina Vo, Diane Lally, Kari Nelson, Destini Petitt, and McKenzie Peterson for presenting their research, including work from the MoHSES, WELL, and UnICORN projects. 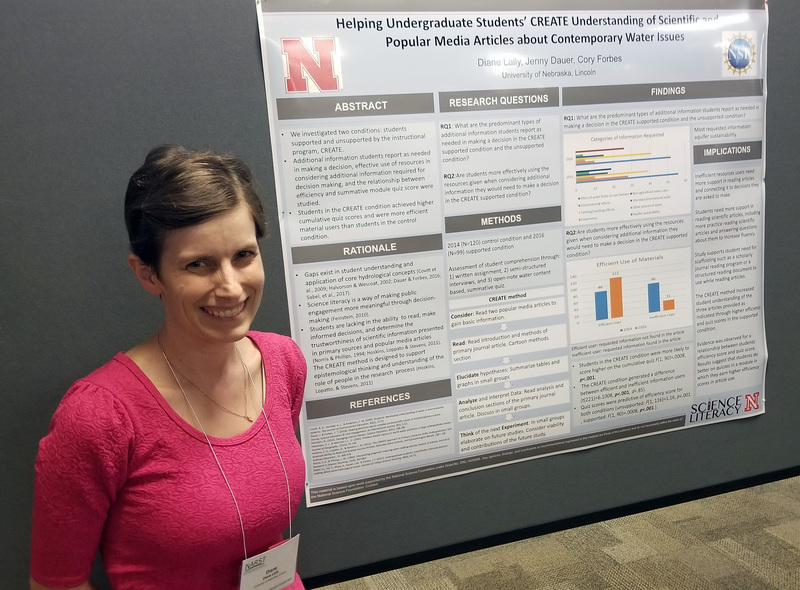 This entry was posted in Research and tagged CASNR, CEHS, CSMCE, IANR, MoHSES, NSF, science literacy, UnICORN, UNL, WELL on October 25, 2016 by corytforbes. On Wednesday, September 3rd, I presented some of our work as part of the Fall 2014 SNR Seminar Series. In the talk, entitled, “Discipline-based Education Research on Teaching and Learning in Elementary Science Learning Environments”, I discussed the MoHSES, RAES, and UnICORN projects, all focused on elementary (K-6) science, from a disciplinary perspective. The seminar was a fantastic opportunity to share more about our work with SNR colleagues and I appreciate the interest of all who attended. This entry was posted in Research and tagged MoHSES, RAES, School of Natural Resources, UnICORN on September 4, 2014 by corytforbes.